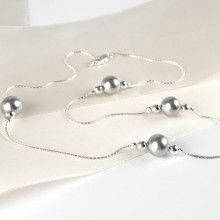 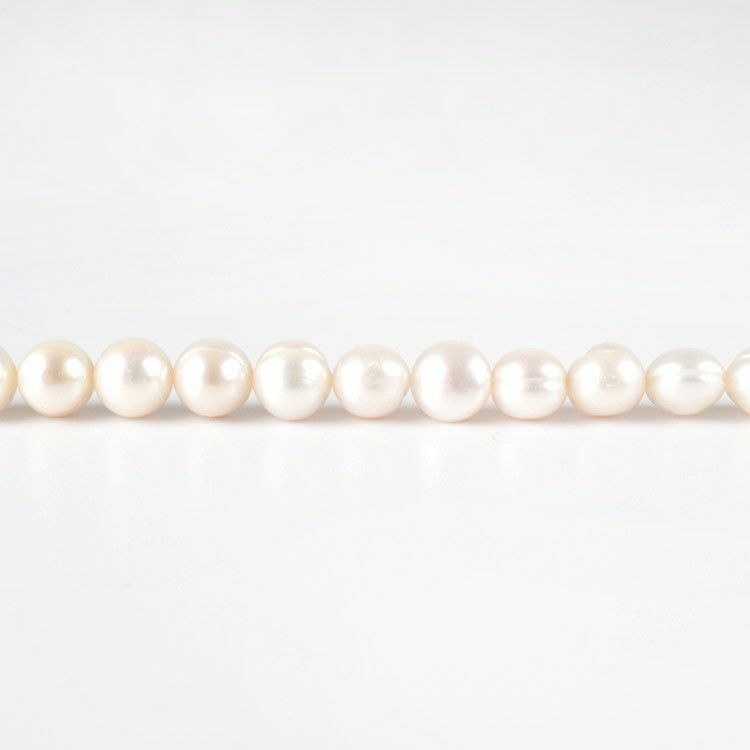 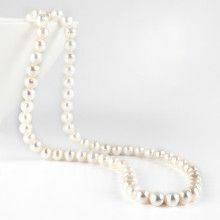 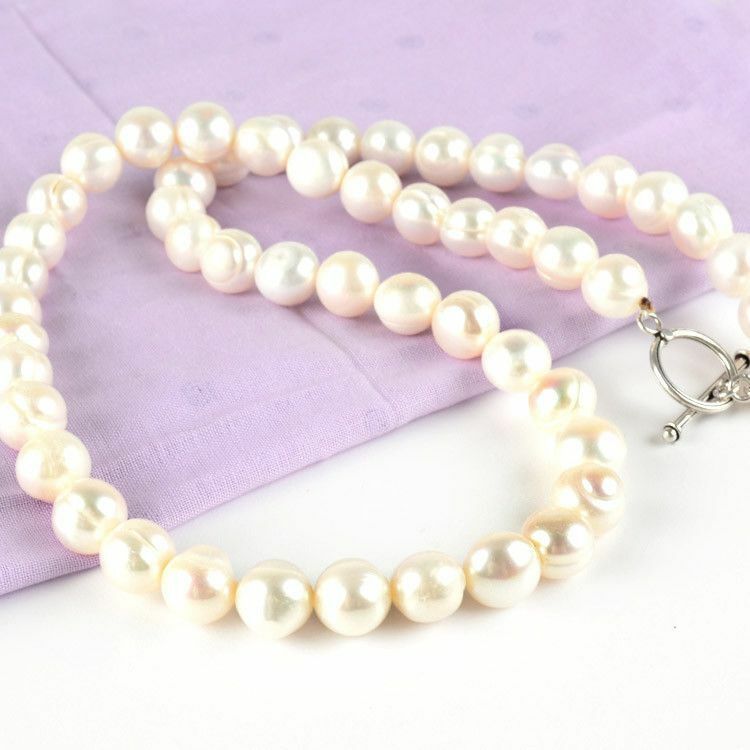 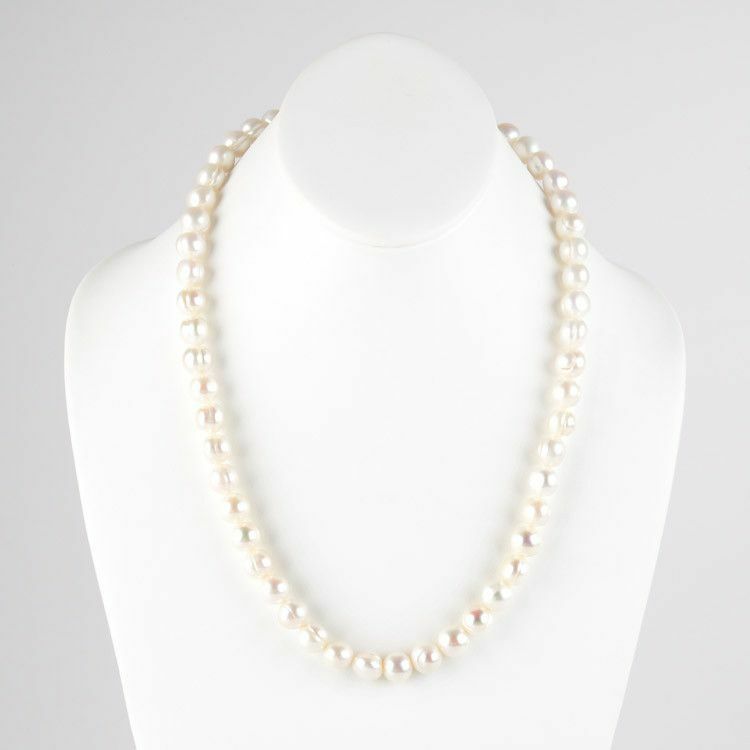 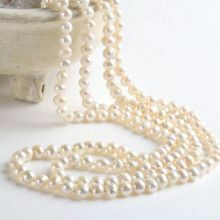 This pretty pearl necklace is classic and modern at the same time! 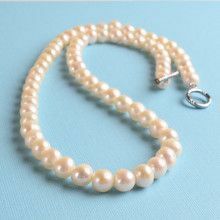 Beads that are about 3/8" in size and mainly white in color are strung along to make one fabulous 22" necklace. 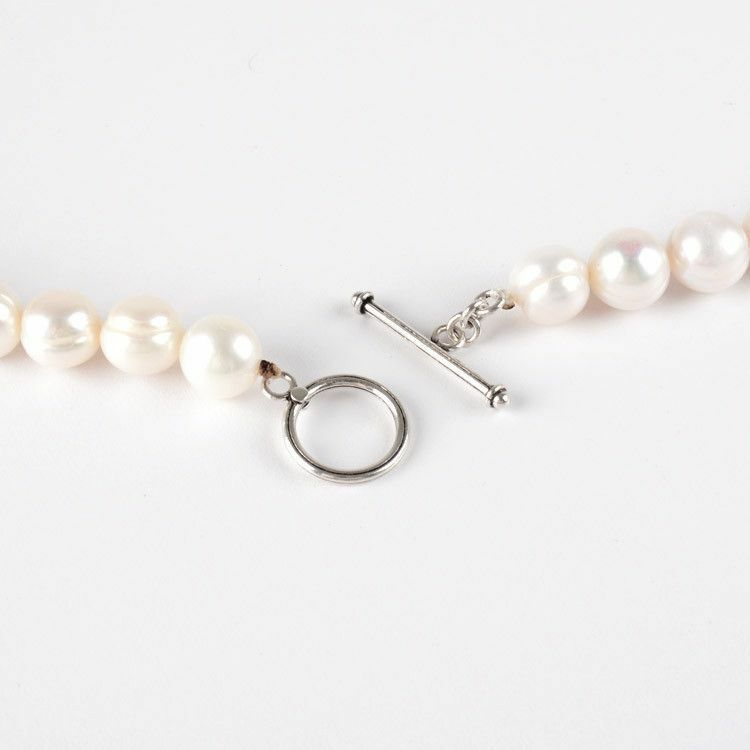 The clasp is toggle style and made with silver. 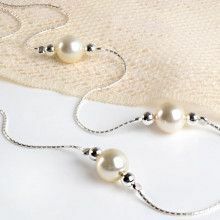 Every women would sure love to have this necklace in their jewelry box!